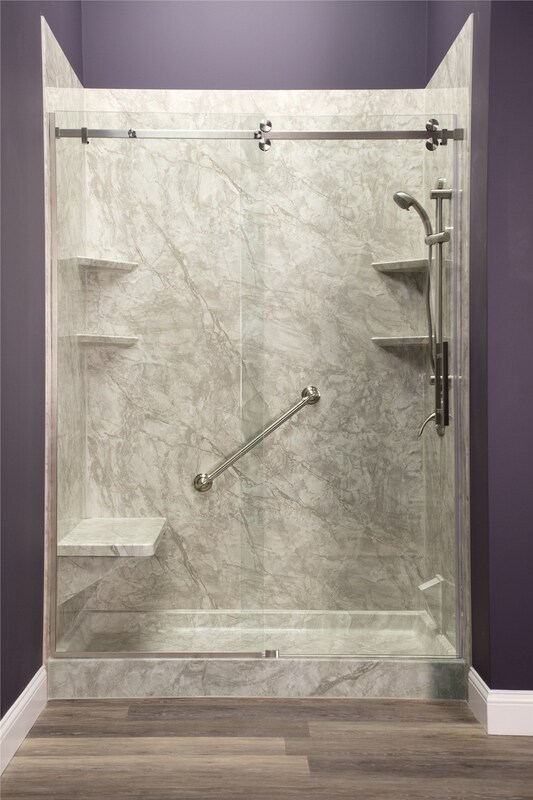 We can custom manufacture a shower base that fits seamlessly in your bathroom, so you don't need to worry about paying for a lengthy remodel. 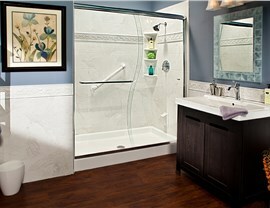 If you start or end your day with a shower, shouldn’t it be in a space that soothes and relaxes you? Grimy grout, chipped tiles, and cracked shower walls are a thing of the past when you choose Improveit Home Remodeling as your shower replacement experts. Our innovative shower systems are constructed using high-quality, durable materials that can be customized to fit both the style of your bathroom and your budget. With nearly 30 years of industry experience, we have the skills and resources necessary to offer the most advanced and affordable solutions that quickly transform your bathroom’s appearance. 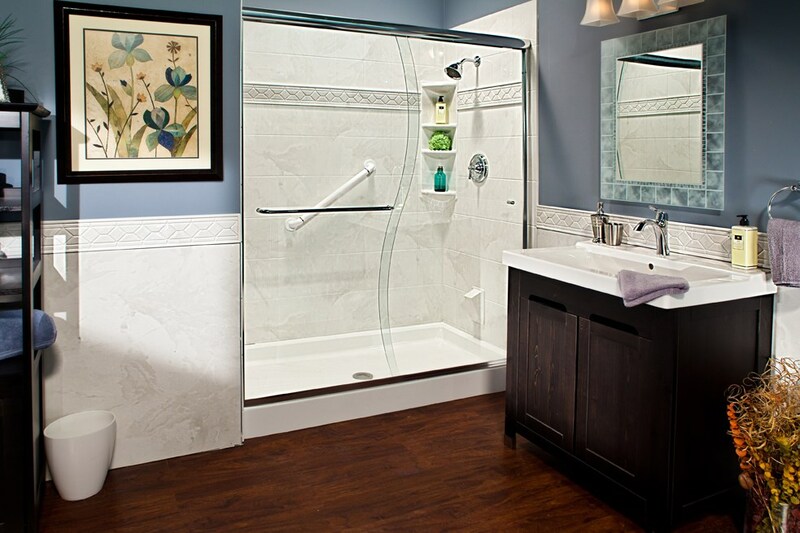 In some cases, same-day bathroom remodeling is an option. 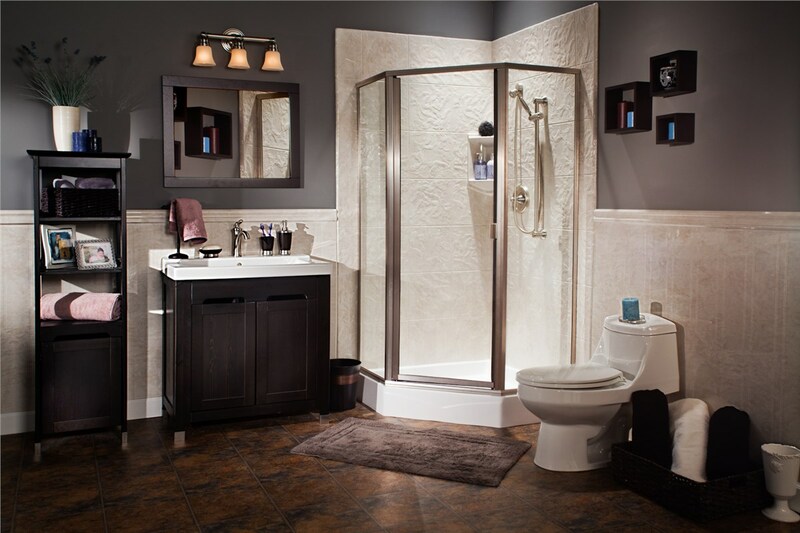 Whether you know exactly what you want your remodeled bathroom to look like or you are starting with a blank slate, our team of dedicated professionals works with you from beginning to end to ensure that you get the shower system of your dreams. We start by asking what you do and do not like about your existing bathroom and what you hope to see when your renovation is complete. With these ideas in mind, we offer custom solutions that meet all your needs, including your schedule and your budget. Durability: Our premium Bath Planet bath products use the highest-grade ABS vinyl and are so long-lasting they are backed by the Good Housekeeping Seal. Convenient Installation: You don’t have to worry about a lengthy remodel that takes over your home and costs a fortune. 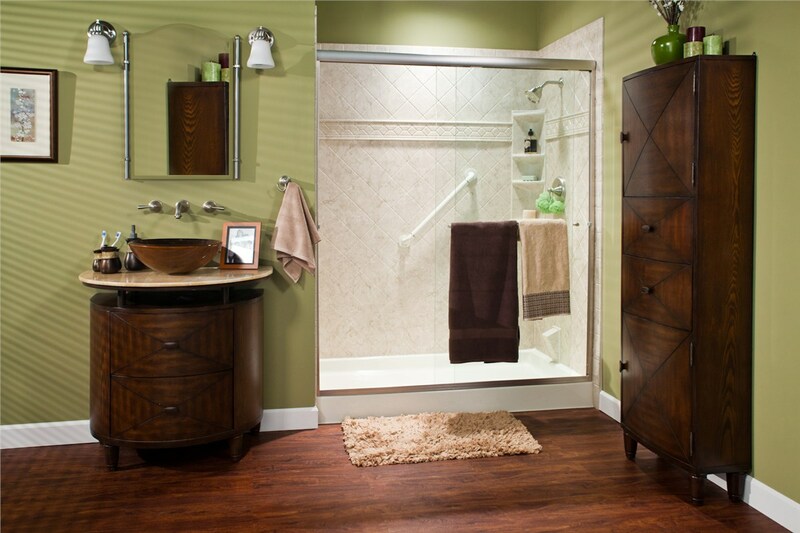 Our innovative installation technology allows us to offer incredibly fast, convenient bathroom remodeling services. 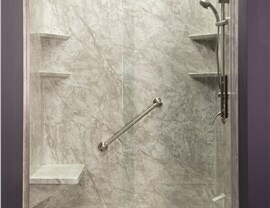 Low Maintenance: In addition to using durable vinyl, our shower replacements are infused with antimicrobial technology. Cleaning and maintaining your new shower will be a cinch because our material naturally resists the growth of mold and mildew. Stop using a dingy, outdated shower and start your day off on the right foot by contacting the experts at Improveit Home Remodeling! 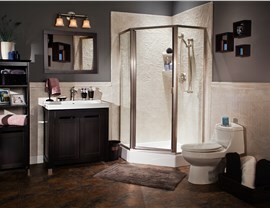 Call today to learn more from one of our helpful customer service reps and hear all of your bathroom remodeling options. You can also get a free, down-to-the-penny quote guaranteed for one full year by filling out our convenient online form.